Tech News India: Volkswagen ready to invest more if Indian policies stabilize! Volkswagen ready to invest more if Indian policies stabilize! Most of the companies who have set up their manufacturing facilities in the state of Maharashtra are not happy with the change of decision taken by the state government. Earlier in a bid to encourage automobile companies the government had said that they would refund the Value Added Tax (VAT) which is paid on all the units, which are sold by the companies that have a manufacturing facility in the state. But now, the government has modified the same since last year and has said that they would only refund the VAT on those vehicles, which are sold in the state of Maharashtra and not others. This decision has affected adversely to all the automobile companies, who have plants in the state and most of them are re-thinking on their plans of expansion and further investments. According to one of the top officials from the leading German car maker Volkswagen, the company had plans of launching quite a few cars in the country, but the policies of the government should be more unswerving for them to do any further investments. The company already has a wonderful fleet of cars, which they sell in the Indian car market. One of them is their premium sedan the Volkswagen Vento. This car has an elegant look and smooth body line and the exteriors are crafted marvelously as can be seen in the Volkswagen Vento pictures. 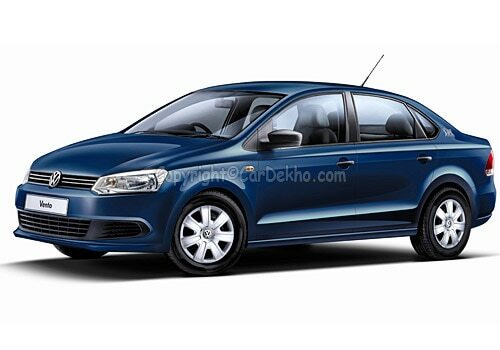 This sedan is available in both petrol and diesel variant with powerful engines and a host of advanced features as stated in a Volkswagen Vento review. Another popular car from the stables of the company is the Volkswagen Polo, which is generating a lot of sales in its segment. The Volkswagen Polo price is starting at Rs. 4.57 lakh, which is its ex-showroom price in New Delhi.